Visitors pose for pictures in front of the beautiful Pura Ulun Danu Bratan. 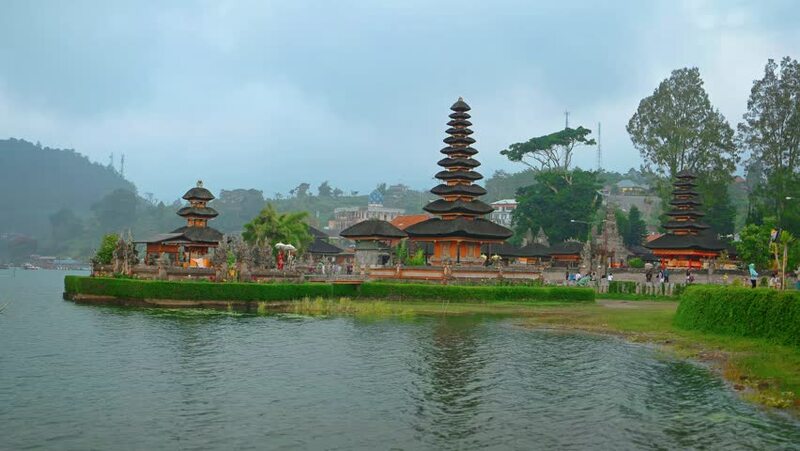 a lakeside temple in Bali. Indonesia. 4k00:10Time lapse of Pura Ulun Danu Bratan Temple, Bali, Indonesia. 4k00:10Pura Ulun Danu Bratan is a major Shivaite and water temple on Bali, Indonesia. Recommend place to travel for people who's travel to Bali,Indonesia.Republic of Indonesia is a country in Southeast Asia. hd00:30Closeup view of temple Pura Ulun Danu Bratan, Bali, Indonesia.